Expecting my free time for Wing Chun exploration in Guangzhou to be sparse, and not knowing what would come of any particular journey, I had already begun preparations for a trip to Hong Kong as well. I had done two things to prepare for this. One, I had researched a little about the schools there, partially on the web, and partially on foot during a previous short stay in Hong Kong. 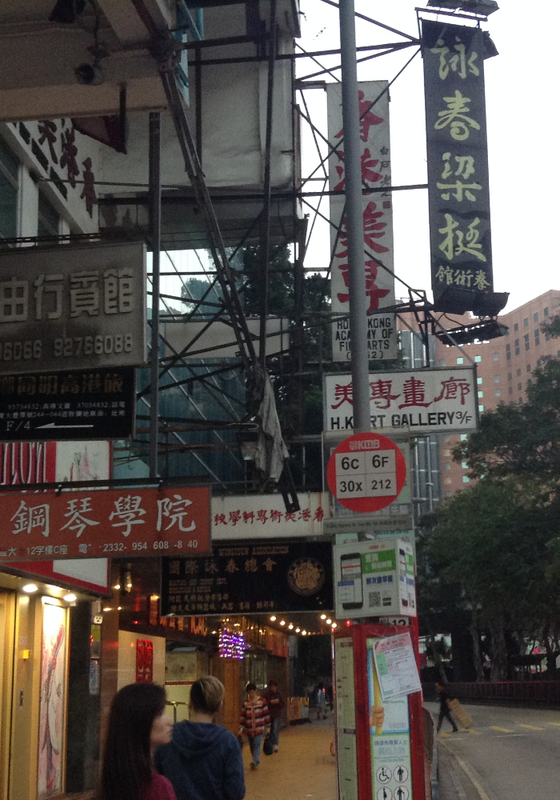 This first stay was not for the purpose of seeking Wing Chun encounters, but to visit and see Hong Kong. 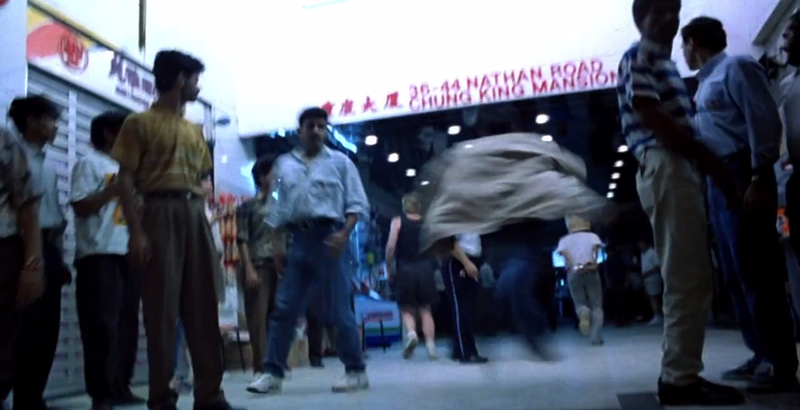 I stayed in the famous Chungking Mansion, where scenes from Wong Kar Wai’s film “Chungking Express” were filmed, and which is home to a dense population of middle-eastern workers and businesses, including lots of Halal food. The building is not what I would traditionally associate with the term mansion, but was instead a kind of high-rise building comprising six sections (A through F, I believe). At the base of the building these sections are hard to distinguish, and the first floor feels like a bustling market of food and electronics. On the third floor where I was staying, however, one could walk out onto a kind of roof-top (where I practiced my wing chun), and from there the six sections of the building could be distinctly seen rising out from this interim roof-top area. This destination was coincidentally significant because one of the several Wing Chun Associations in Hong Kong was housed just across the street from the main entrance to the Chungking Mansion. Also, while waiting for the elevator (which I learned later not to wait for) one could watch advertisements, on a small screen above the elevator doors, for a Wing Chun school down the street (supposedly a student of Yip Man, but not a name I recognized). While searching the web I soon discovered that there are several “Associations,” and I am still confused as to whether or not they are actually one association with several branches, or if each one is independent from the rest. While staying in Hong Kong for a few days, and wondering around, I ran into three more associations or schools, including the schools of Leung Ting and Sergio Iadarola, but neither were home. Through some e-mail correspondence I arranged to visit the school of Yip Ching, Yip Man’s younger son, for one evening. Or, rather, I was told to stop by any time during the scheduled class. I made plans to go on Saturday the 16th of January.